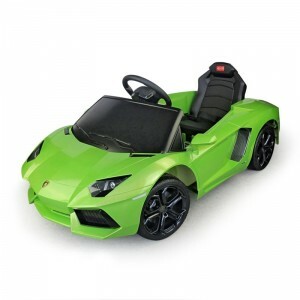 With this luxury Lamborghini you can hit speeds of up to 4 MPH safely and in style. This electrically powered car lets the child literally drive with a controllable steering wheel and gas pedal, and Mom or Dad can even take control with a remote control. With real engine and horn sounds, as well as an MP3 port for stereo music, they can have a sense of realism in their play. 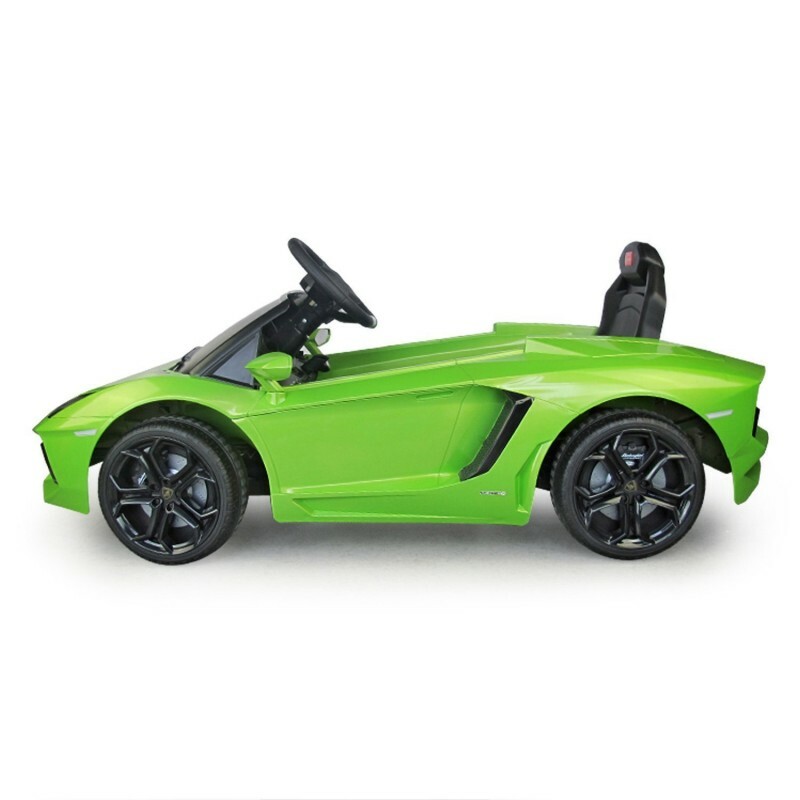 This officially licensed car is a great way to have a safe and fun moveable toy. 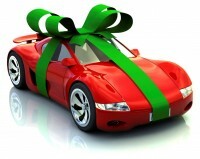 - Includes a real working horn and keys to give your child the feel of a real car.